Disabled Elevators are used for persons with disabilities in order to climb the stairs or similar heights easily. 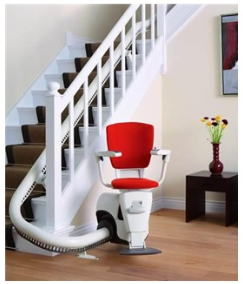 These type of elevators are produced in the form of ladder or platform which makes easy to go up and down the stairs between floors with the edge of the connecting mechanism. These types of elevators are generally used in homes, hotels and villas. 2. Can be produced in desirable size, color & shape. 3. Provides buttons on the elevator as well as in the case companion is not availaible. 4. Can be fitted in indoors & outdoors. Elevators prices are effectively changed according to the selection of specific features. If you want panoramic elevators, request a offer from the companies by filling out the request form completely. In this way, you can get the best price deal from elevator companies according to your needs.